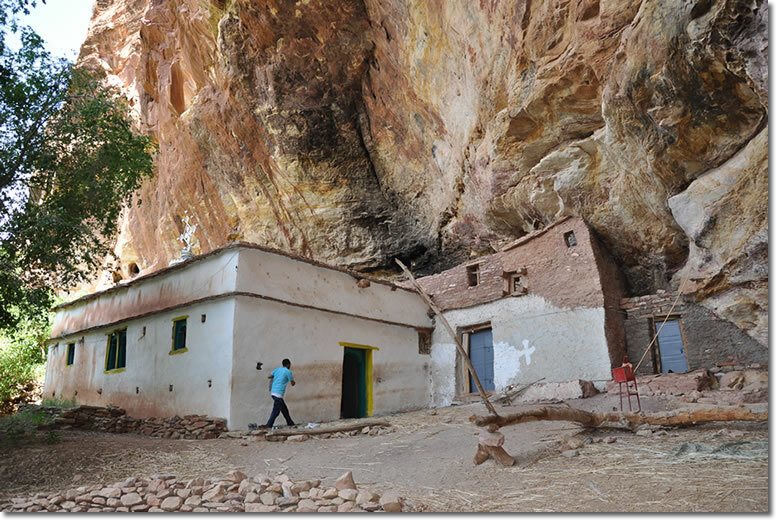 Some four hours drive from Axum-plus a further two hours, stiff uphill walk from the road ends – lay the monastery of Debre Damo, situated on a cliff top in one of the wildest part of Tigray. 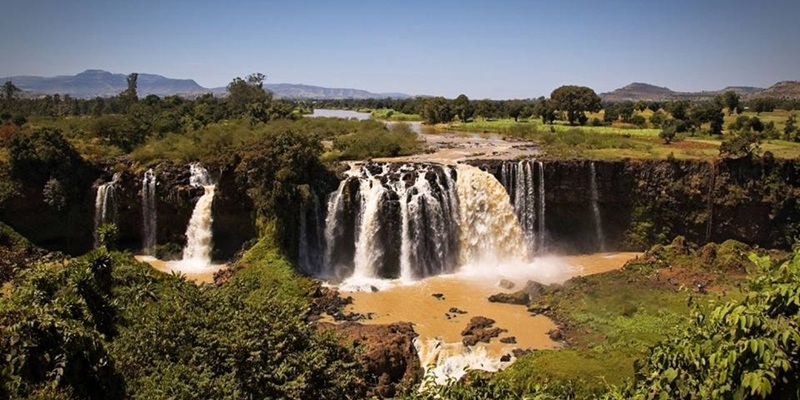 Debre Damo is unique and unforgettable. The bluff on which Damo stands is a real-life Shangri-la. Remote and beautiful, far from the hustle and bustle of the 21st century, the cool celestial island of rock offers panoramic views over the surrounding countryside and complete seclusion and peace for the hundred or so monks and deacons who live there. The monastery’s treasures include an extensive collection of illuminated manuscripts and the intricate carving on the beams and ceiling of the ancient church around which the monastery is built. The wonderful church of Abreha wa Atsebha is situated 15 kms.west of Wuqro. A newly built gravel road leads to within a few meters of the church and beyond to Hawzien via Degum. 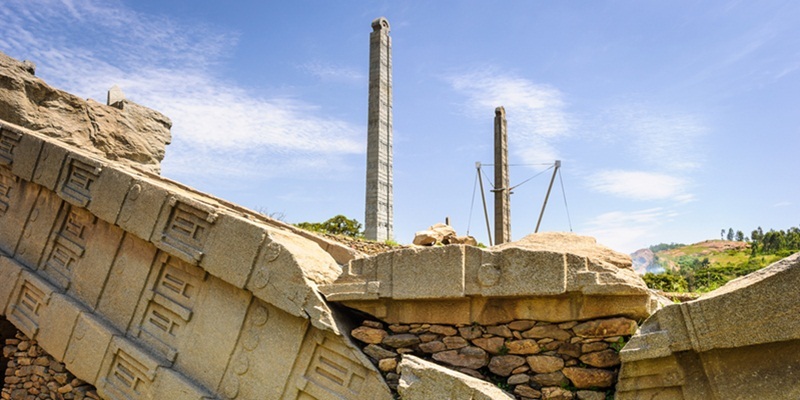 The church is one of the best and largest of the rock churches of Tigray, dedicated to the famous kings of Axum, the brothers Abreha and Atsebha. They are known by that name to history, but they are said in Ethiopian legends to be kings who adopted Christianity in the 4th century. The historical king of Axum who did adopt Christianity around that time was king Ezana. His name is equally unknown in Ethiopian legendary accounts. The church is cut into the red rock overlooking a valley, and stands out with its white painted façade sheltering two tall blue doors under arches. The church is decorated with splendid post-17th century mural paintings depicting Biblical scenes and saints. It also has several valuable treasures; the most important being the prayer cross which according to churchy officials, belonged to Frumentius- the first Bishop of Ethiopia whose ecclesiastical name was Abba Salama (Father of peace). 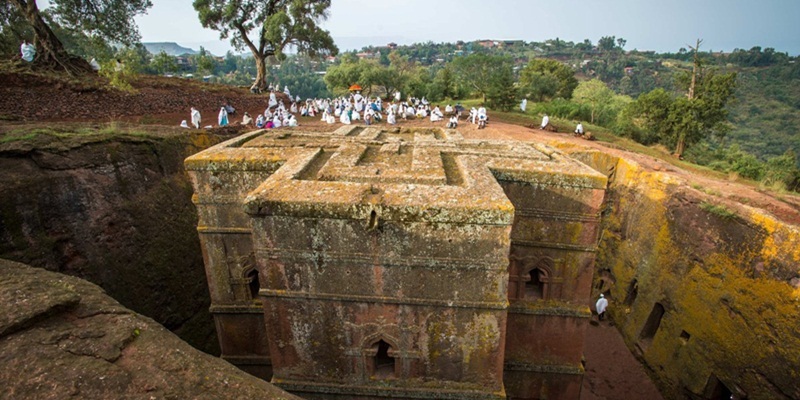 Directly at the edge of the small town of Wuqro (47 Kms from Mekele), on a knoll of red rock, is the rock- cut church of Wuqro Cherqos.The church is supposed to have been constructed by the 4th C by the two kings Abreha and Asbeha. 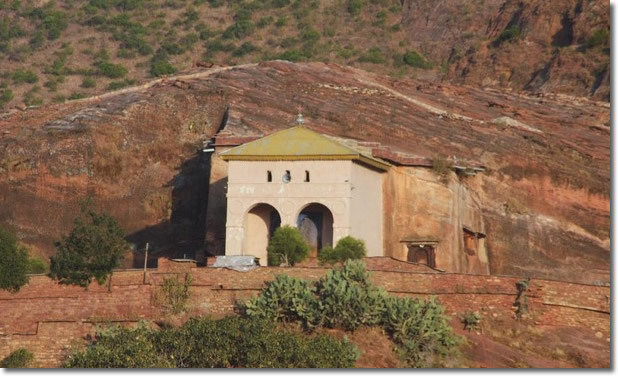 It is one of the first of the rock churches of Tigray. The upper part of the wool and the ceilings were painted, but now much destroyed. Nevertheless, a good impression of the decoration can be gained. A number of scenes can be distinguished: cherubim and angles, the Abune Samuel, the Nine Saints, St. Cherkos. The priests tell the story that the church was burnet by Gudit, the distinctive queen who is supposed also to have toppled the Axum stelae.